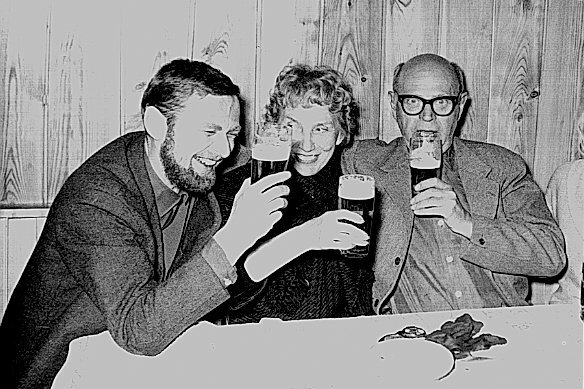 Poul Henningsen (right) with his step daughter and her husband, Verner Panton. 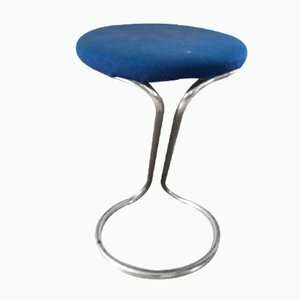 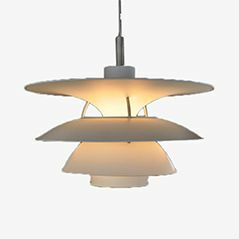 Panton considered Henningsen his greatest design mentor. 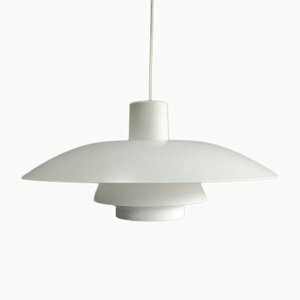 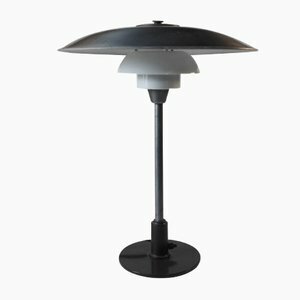 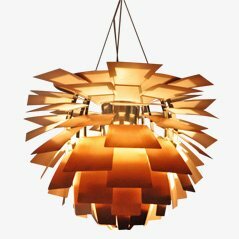 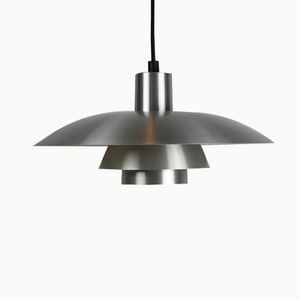 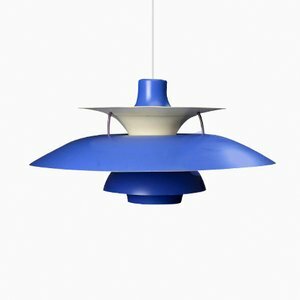 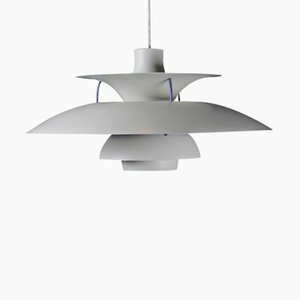 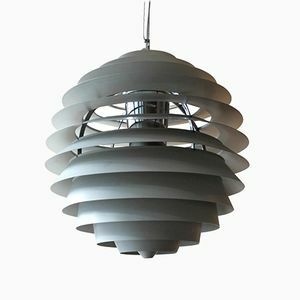 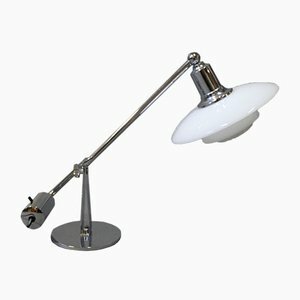 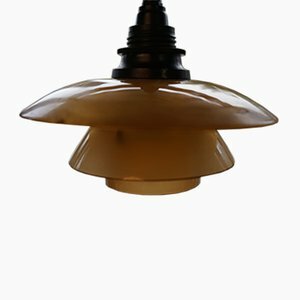 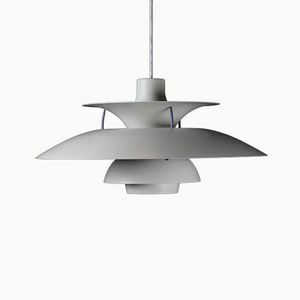 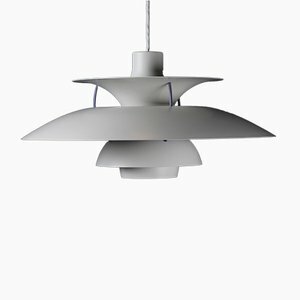 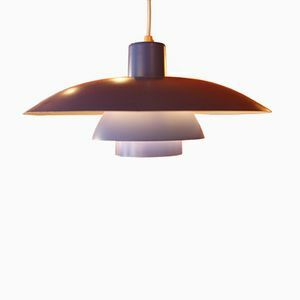 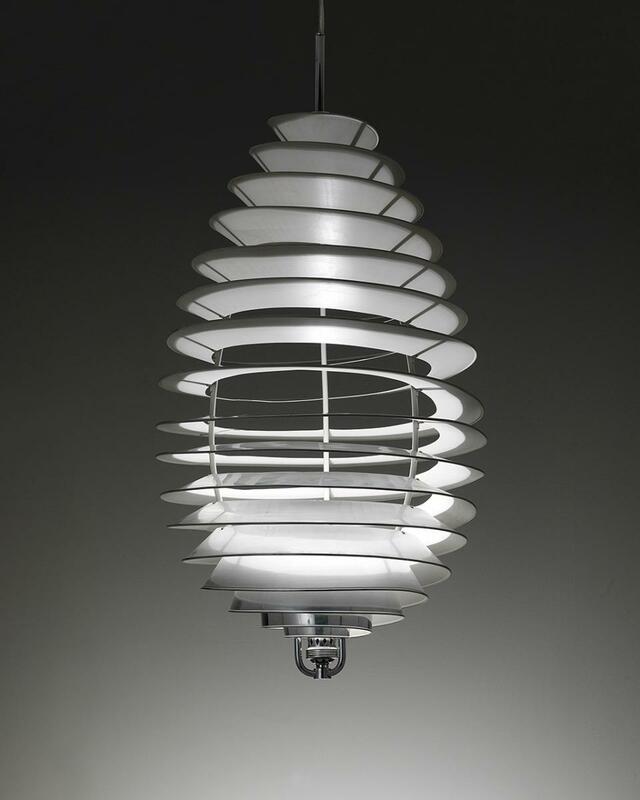 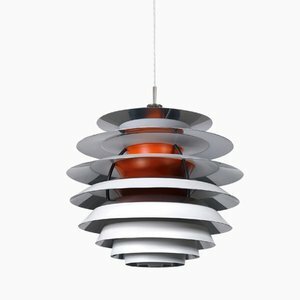 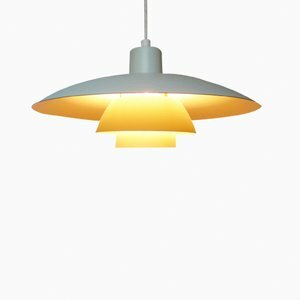 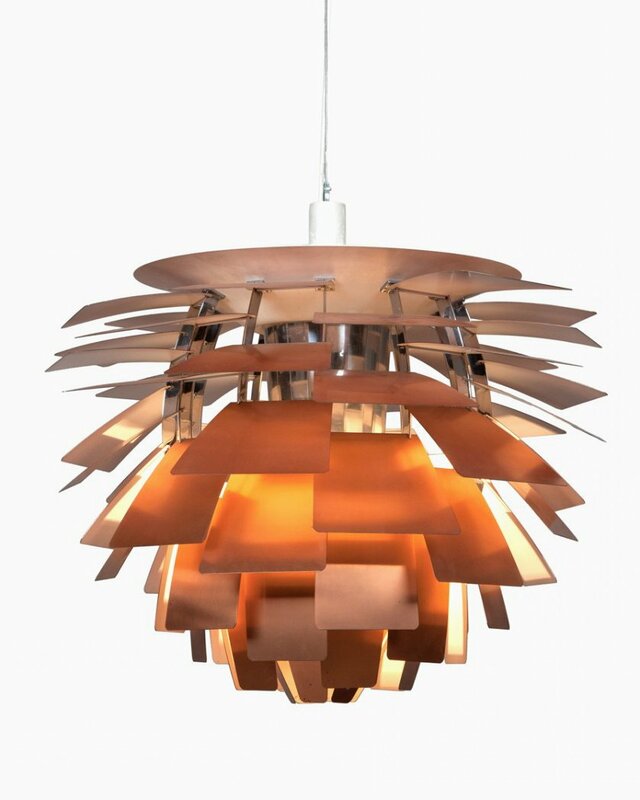 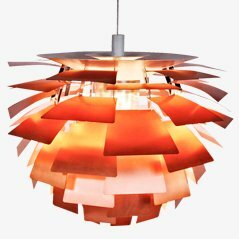 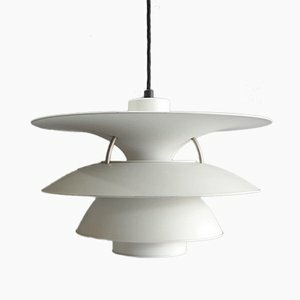 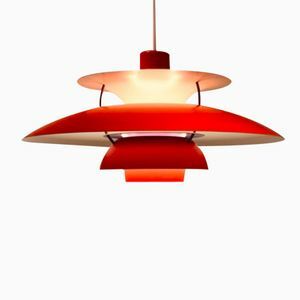 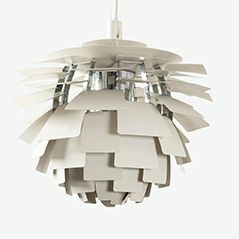 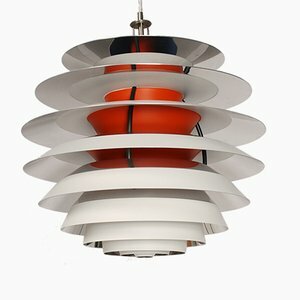 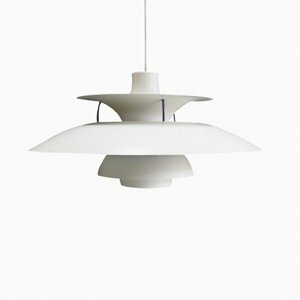 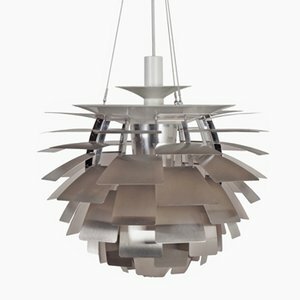 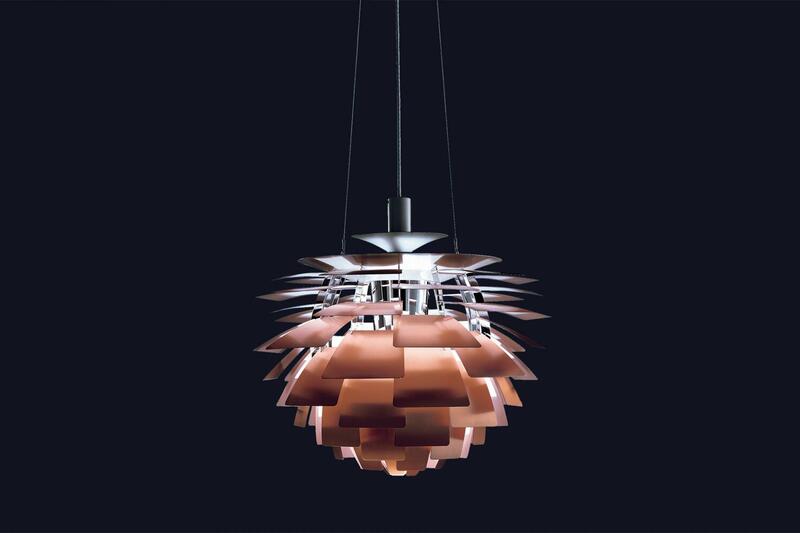 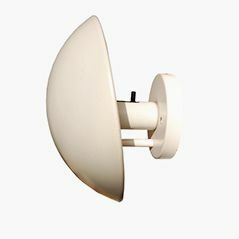 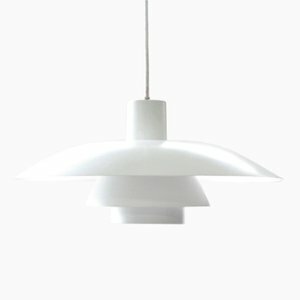 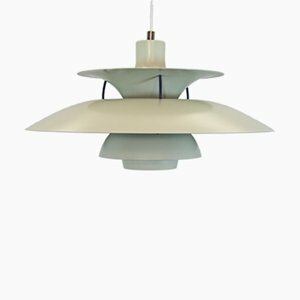 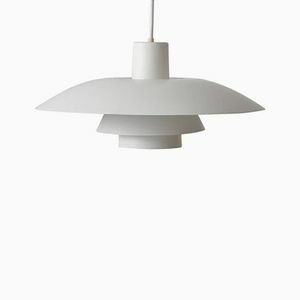 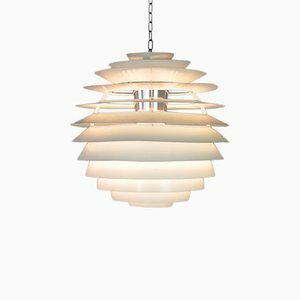 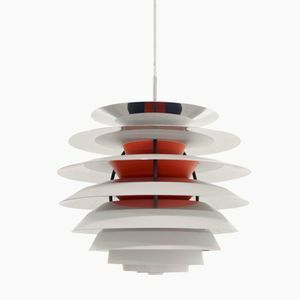 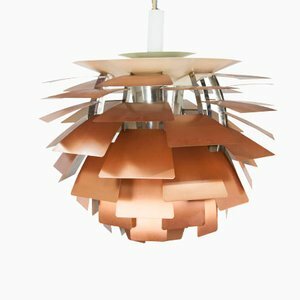 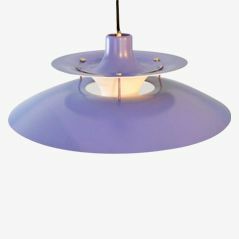 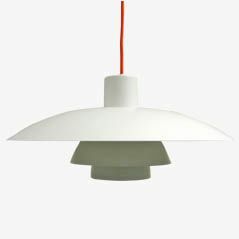 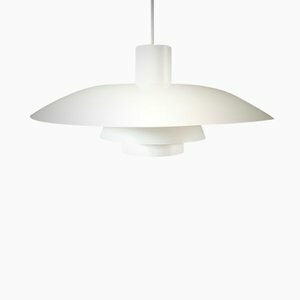 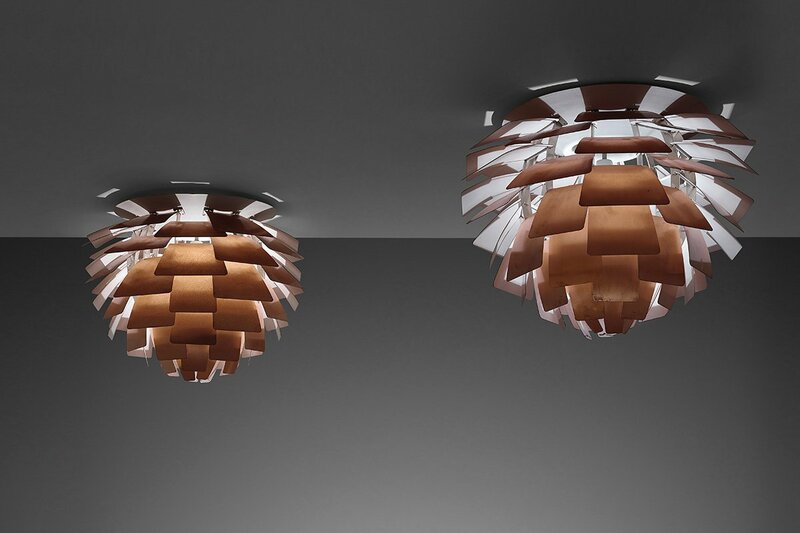 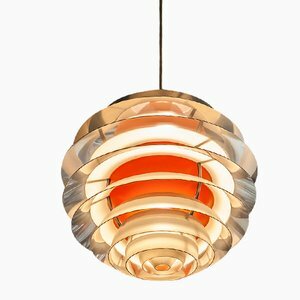 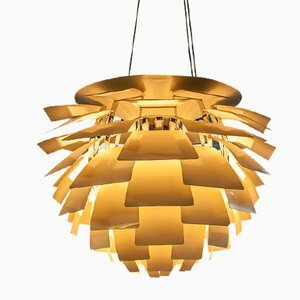 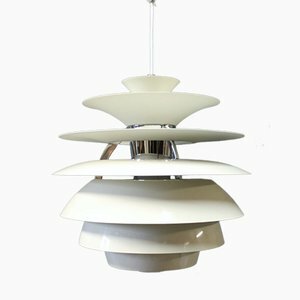 For more than half a century, the Artichoke Lamp by Poul Henningsen has been one of the world’s most popular objects of design—evidenced by the fact it's still in production with Danish manufacturer Louis Poulsen and found in major public and private collections internationally, including MoMA, Vitra, and the V&A. 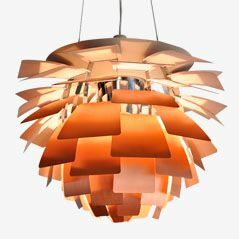 Iterations and imitations have popped up over the decades, but the essential, archetypal form is immediately recognizable, thanks to its distinctive, overlapping layers of adjustable metal plates—reminiscent, of course, of the edible thistle that inspired the name. 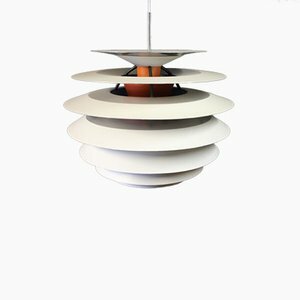 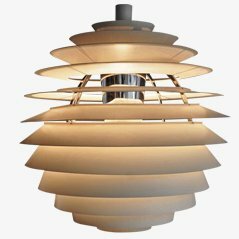 In fact, the name that Henningsen gave this lamp when he originated the design sometime around 1958 was Kogle, the Danish word for “pine cone.” Both names, though, point to the designer’s interest in the spiraling logarithms found in the natural world. 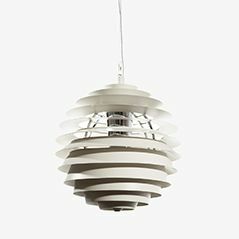 Henningsen never tired of surveying his surroundings for new ideas that could be enlisted in his life-long crusade against the glare of electric light bulbs. 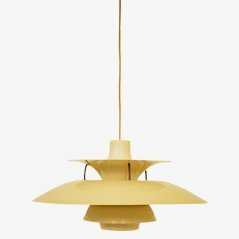 Born in 1894 in Copenhagen, Henningsen was the illegitimate son of two intellectuals, satirical novelist Carl Ewald and feminist activist and writer Agnes Henningsen. 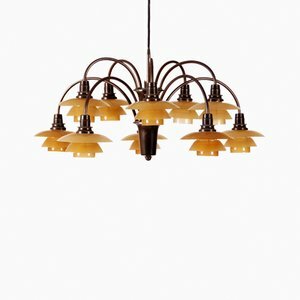 While he studied building and architecture in the 1910s—just as the world around him began in earnest to transition from gas and candlelight to electric light—he independently took up experiments with lighting forms, technology, and theory. 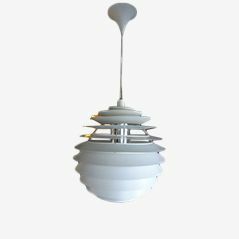 It’s said that his lighting obsession was sparked by his mother, who, like Blanche Dubois, worried about how she looked in rooms lit by harsh, unforgiving electric bulbs. 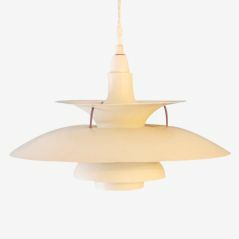 Whether it’s true or not, Henningsen seems to have been uncannily sensitive to the effects of light, a characteristic that entwined with his radical leftist interest in social improvement. 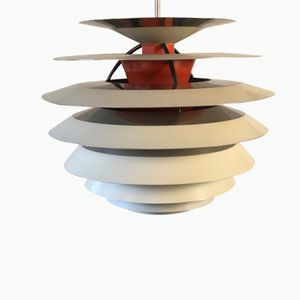 The result was more than 100 lamp designs over the course of his career, all intended to improve daily life through the controlled diffusion and reflection of artificial light. 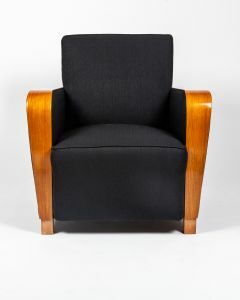 Or in his words, "The aim is to beautify the home and those who live there, to make the evening restful and relaxing". 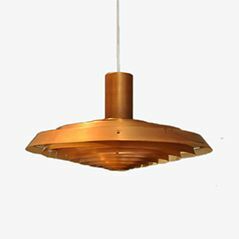 The first major validation of Henningsen’s lighting genius, and the first precursors to the Artichoke, emerged in the mid-1920s with a series of lamps that won the gold medal at the landmark 1925 L'Exposition internationale des arts décoratifs et industriels modernes in Paris. 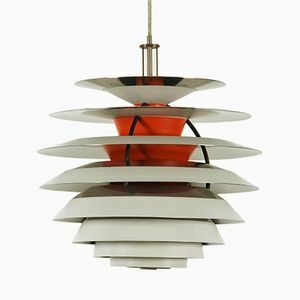 The culmination of Henningsen’s research into maximizing brightness while minimizing glare, this collection featured a tiered shade system—believed to be inspired by a stacked cup, bowl, and plate—with variations in metal and glass. 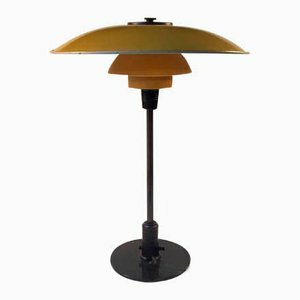 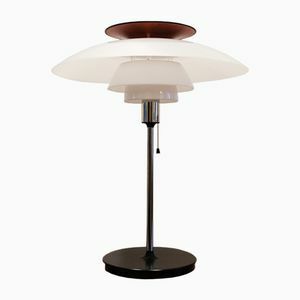 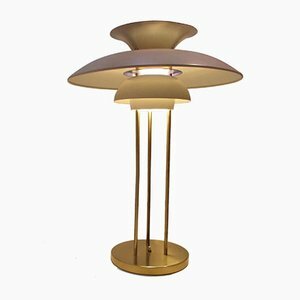 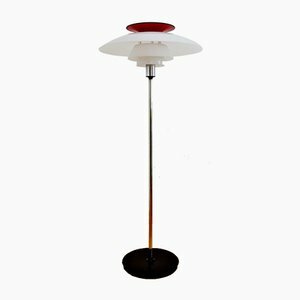 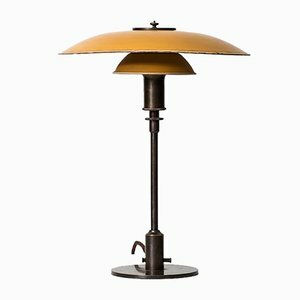 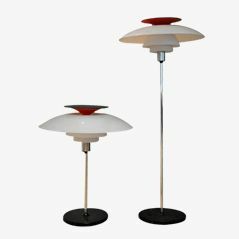 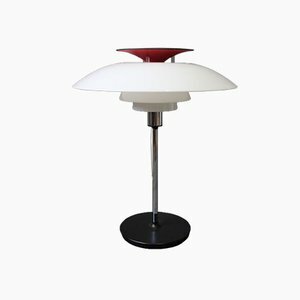 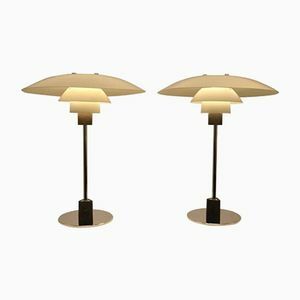 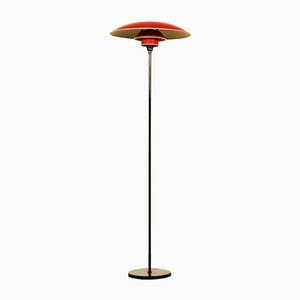 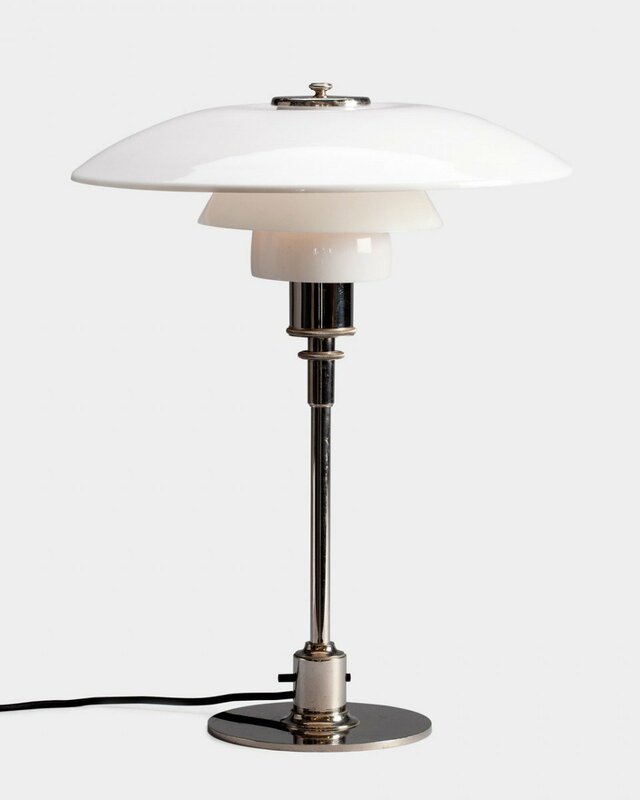 What would soon be known as the PH Lamps quickly found a slew of admirers among the pioneers of modernism. 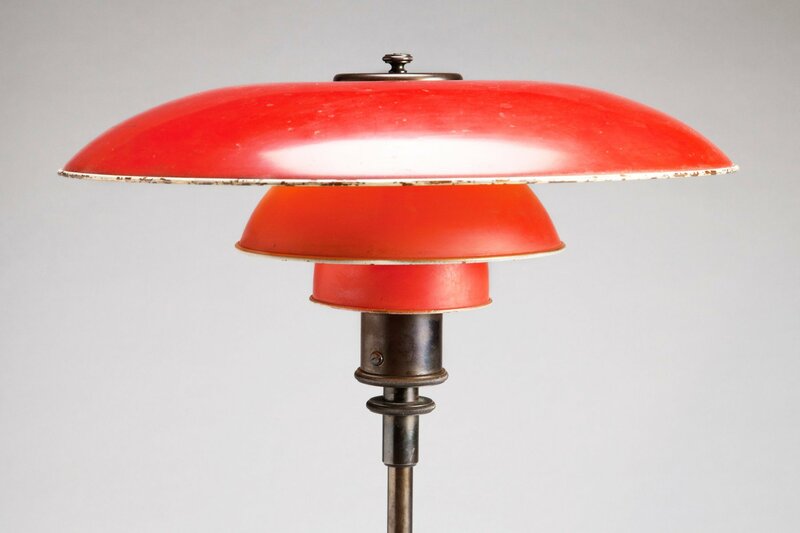 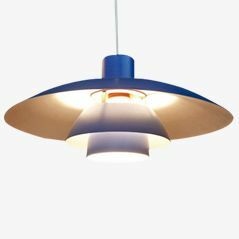 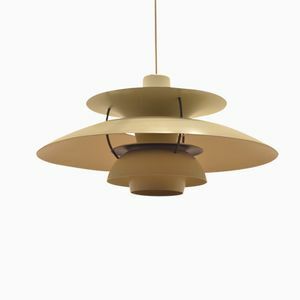 By 1926, Louis Poulsen was distributing PH Lamps as far afield as North and South American and Africa, and the following year, they were exhibited in the canon-making Weissenhof experimental housing project organized by the Deutsche Werkbund in Stuttgart. 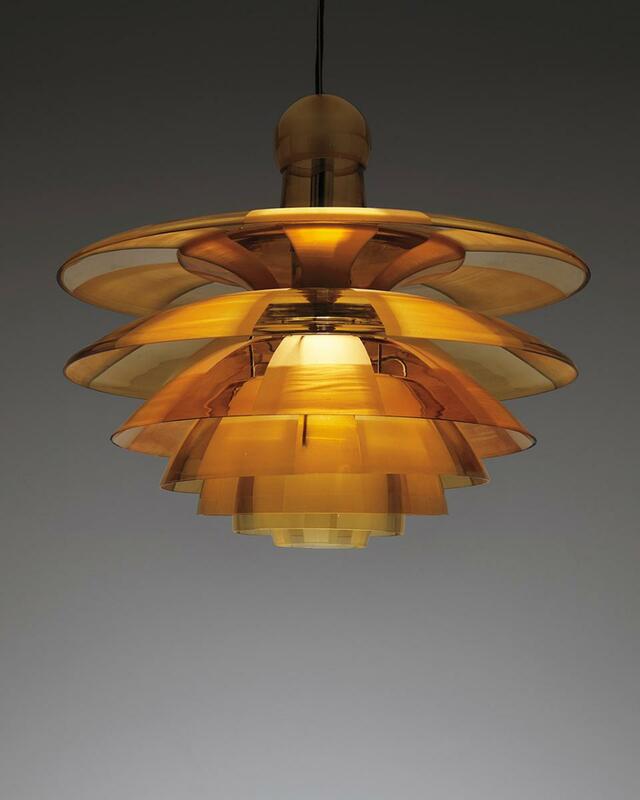 Though he would create a handful of furniture designs and build a few buildings (alongside his prolific writing output), Henningsen’s sights were set on lighting design. 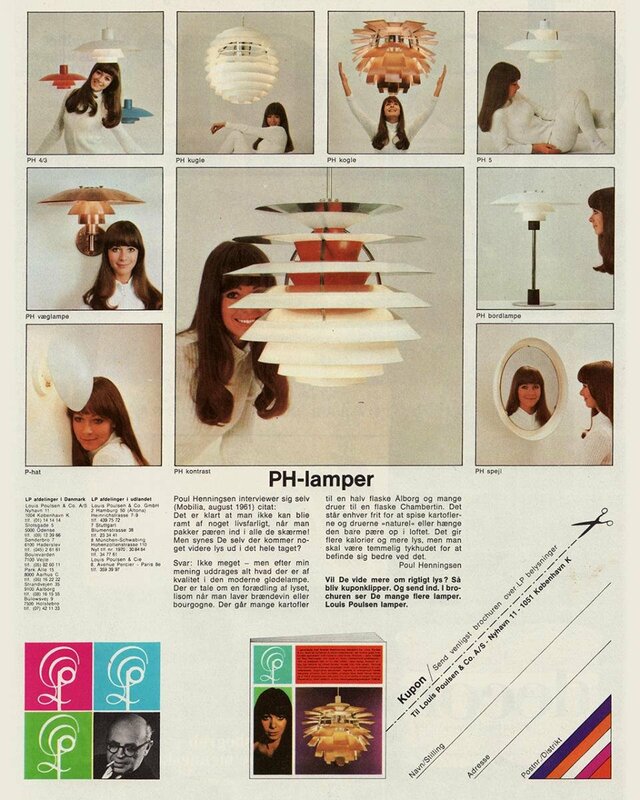 He continued to riff on and elaborate the PH Lamps’ fundamental form for the next 40 years. 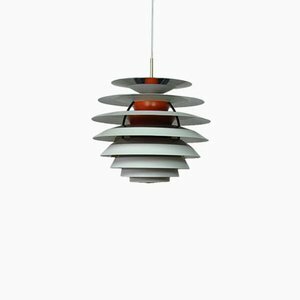 Beyond the original PH Lamps, another antecedant to the Artichoke can be found in the Septima, developed between 1927 and 1931. 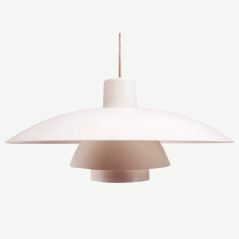 Here again, Henningsen cloaked the bulb in several layers that simultaneously diffuse and reflect light to create a warm and harmonious ambiance. 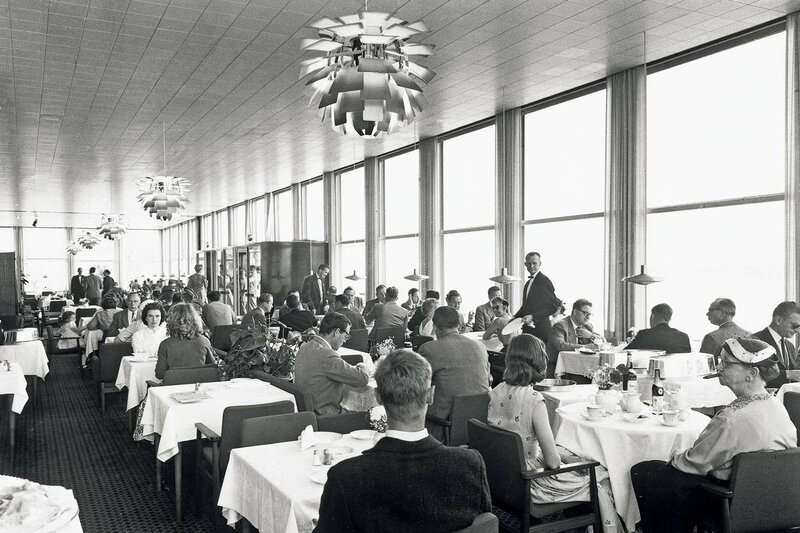 Sadly, the commercial and cultural potential of the Septima was never fully realized. 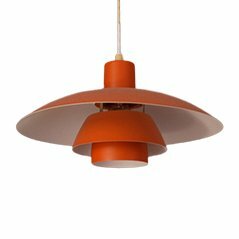 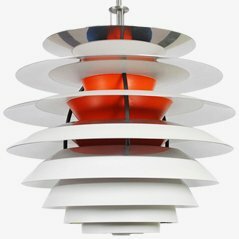 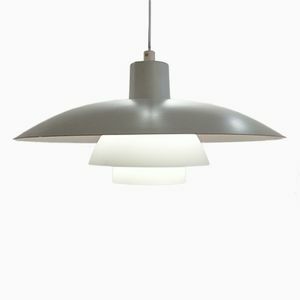 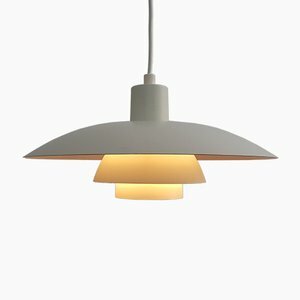 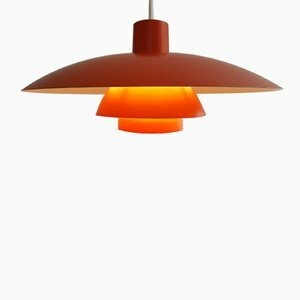 On the eve of World War II, Louis Poulsen ceased production due to material shortages. 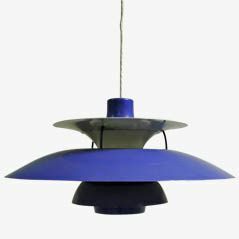 And then, given Henningsen’s outspoken radical views, he and his wife moved to Sweden (along with fellow Danish designer Arne Jacobsen and his wife) to avoid the Nazis. 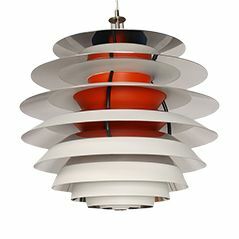 Nevertheless, the Septima still had a significant impact. 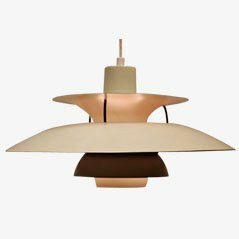 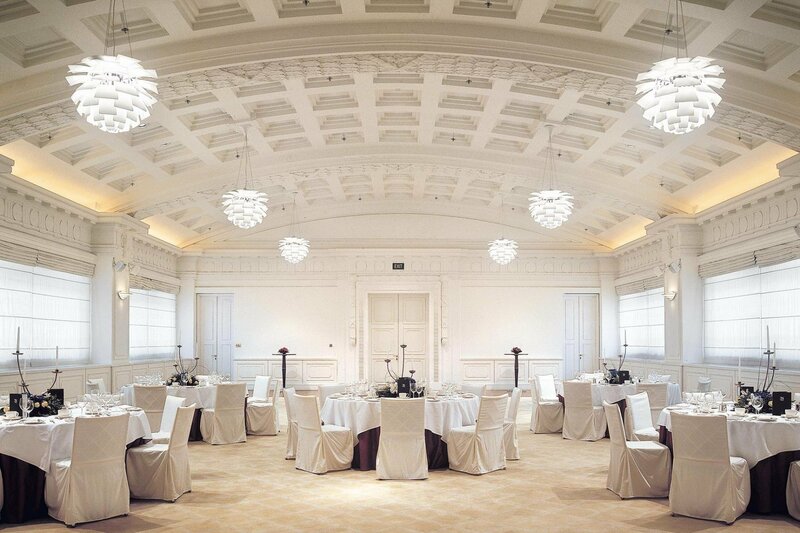 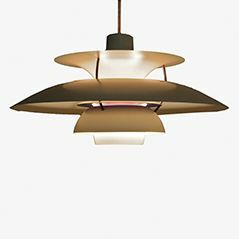 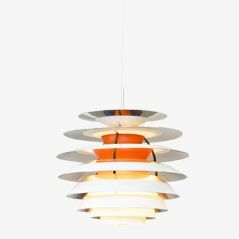 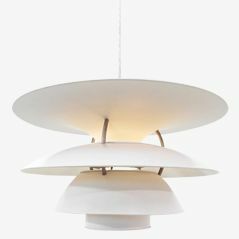 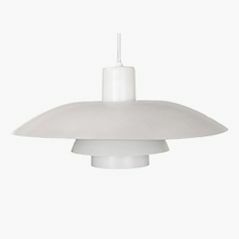 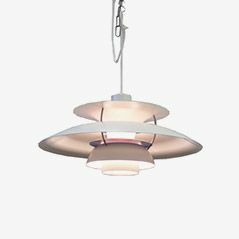 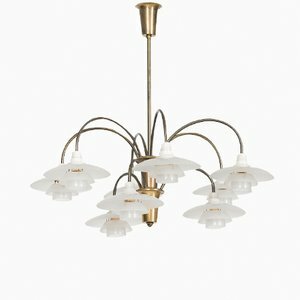 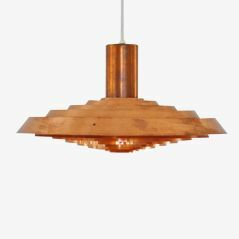 It’s believed that Henningsen revisited this design specifically in 1958, when he was commissioned to create large, opulent chandeliers for a venerable, waterfront restaurant in Copenhagen called the Langelinie Pavilion. 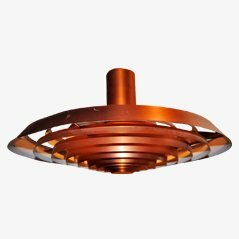 Each of the first site-specific Artichoke Lamps in the Langelinie Pavilion consisted of 72 trapezoidal copper “leaves,” attached by hand with wire to the 12 structural arcs that surround the bulbs. 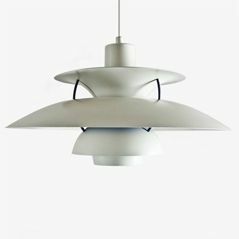 Each metal surface amplified and warmed the light while concealing the source from every angle—Henningsen’s ultimate triumph against the scourge of electric glare. 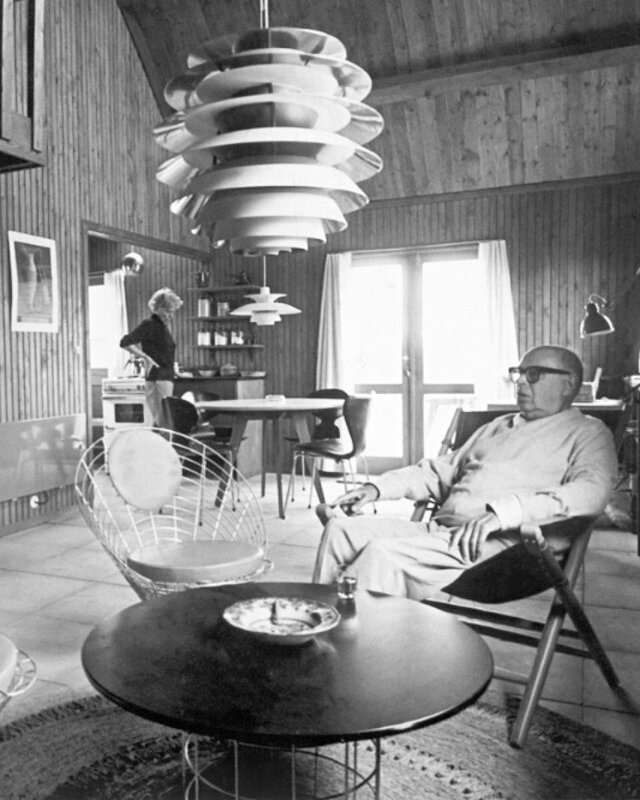 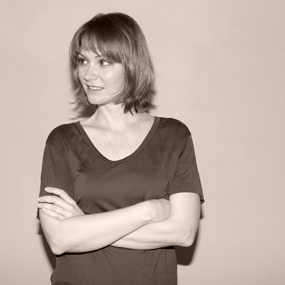 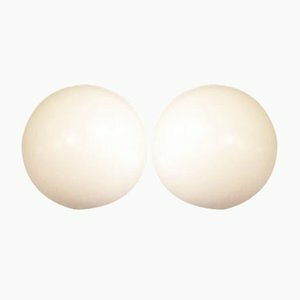 The effect was at once organic and technical, and accolades poured in from home and abroad. 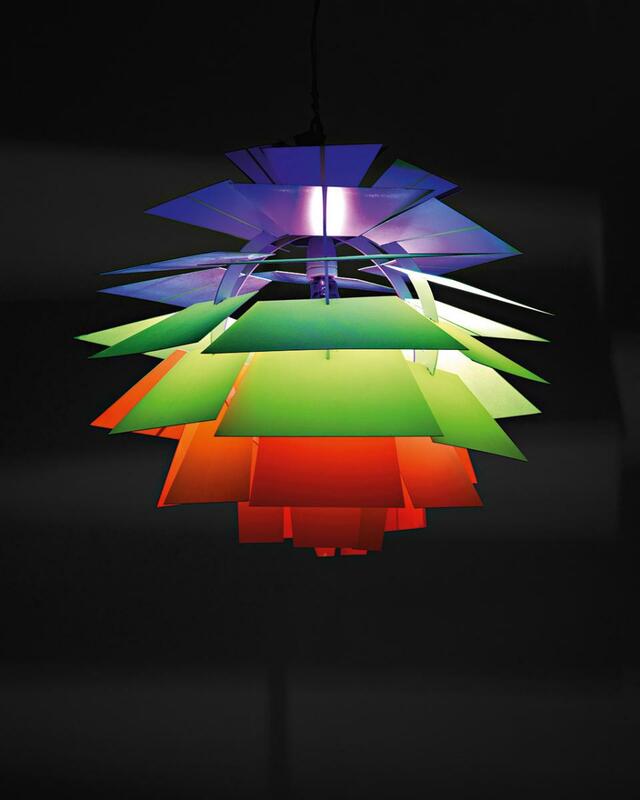 The next year, Henningsen created an Artichoke variation in rainbow colors for an exhibition in Copenhagen entitled The House for the Day After Tomorrow, which solidified its status among the design cognoscenti. 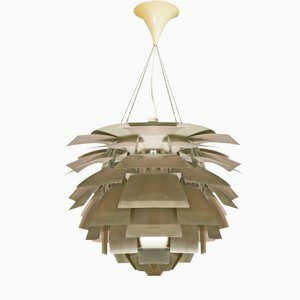 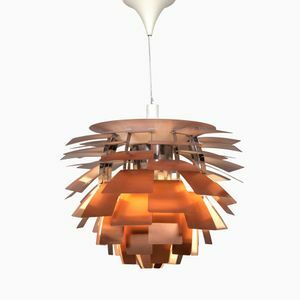 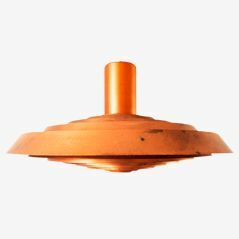 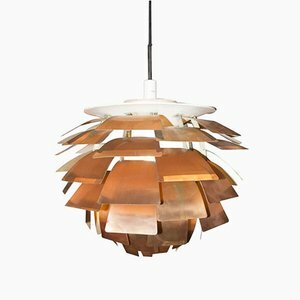 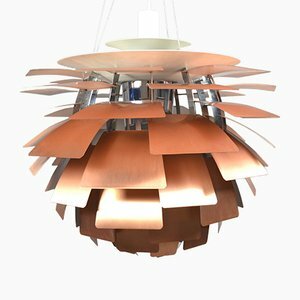 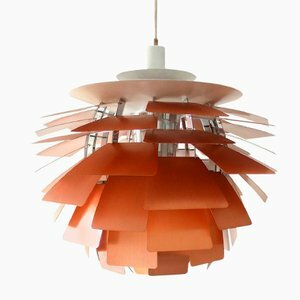 By the 1960s, Louis Poulsen was selling Artichokes by the 1000s, available in copper, steel, and painted metal, and it continues to be a best seller to this day. 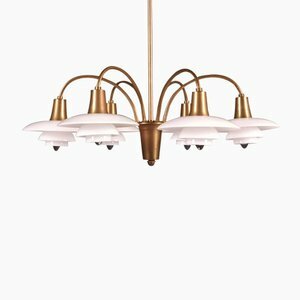 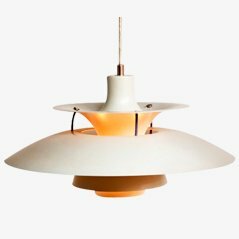 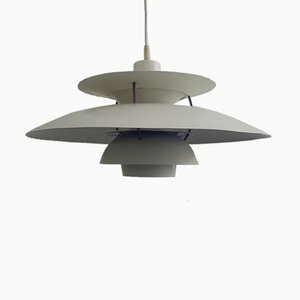 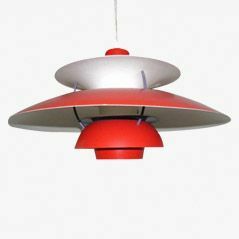 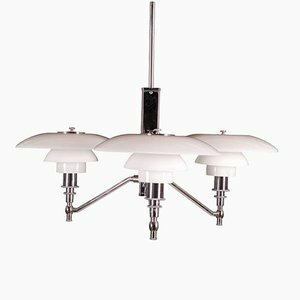 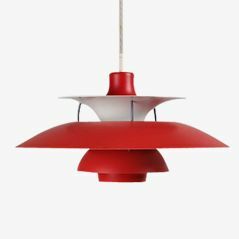 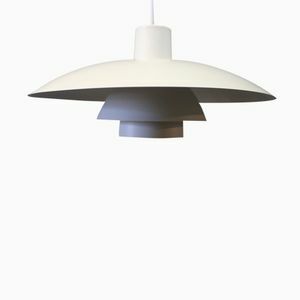 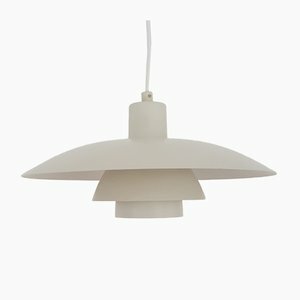 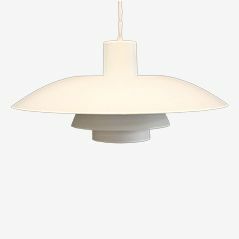 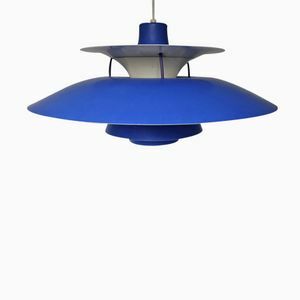 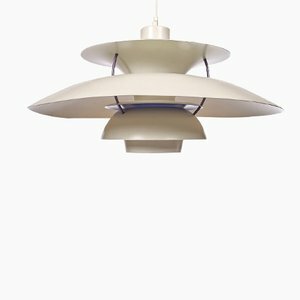 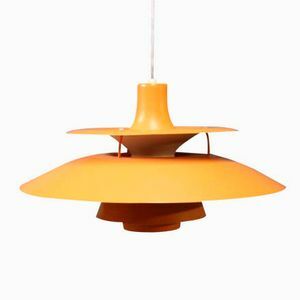 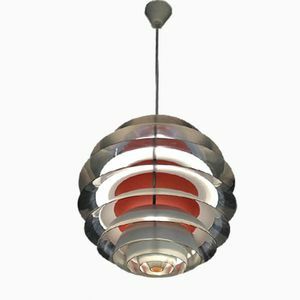 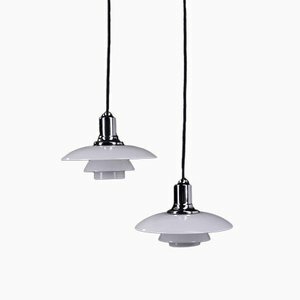 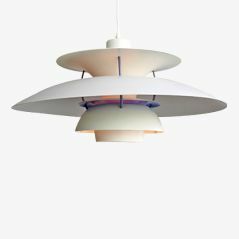 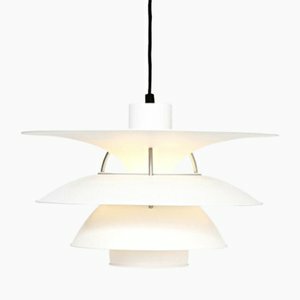 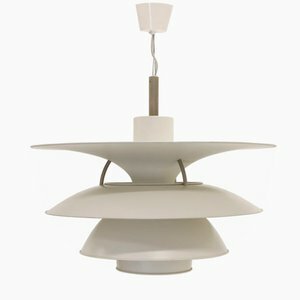 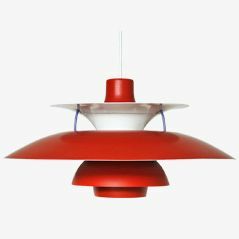 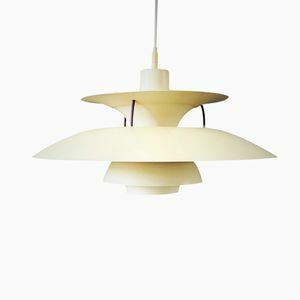 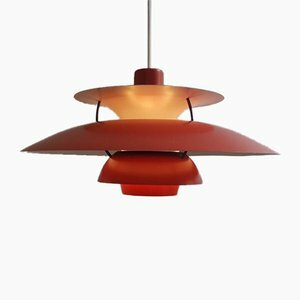 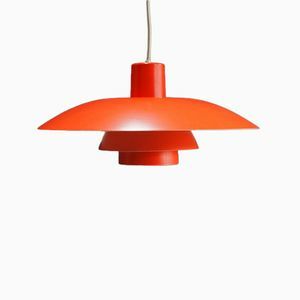 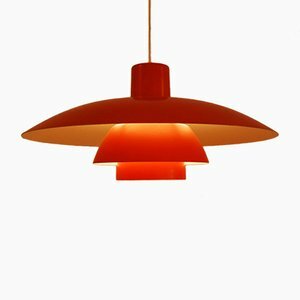 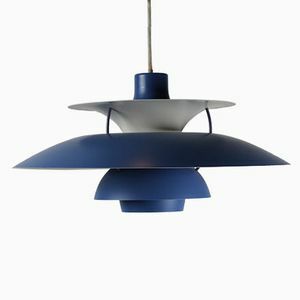 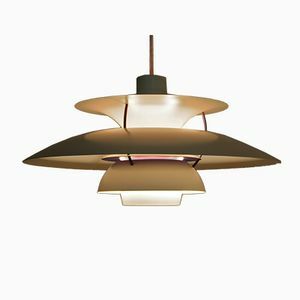 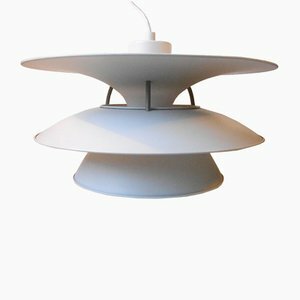 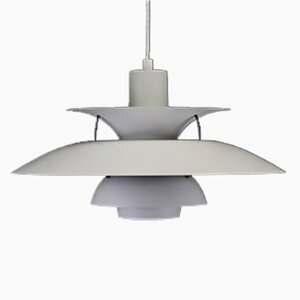 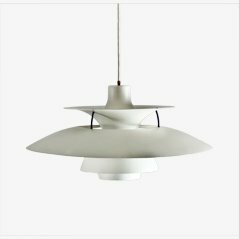 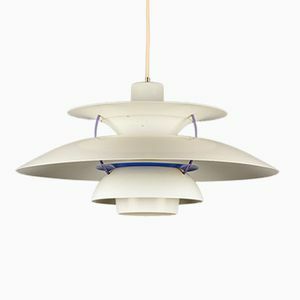 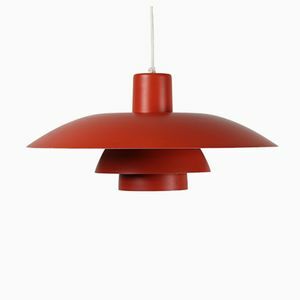 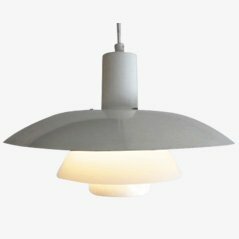 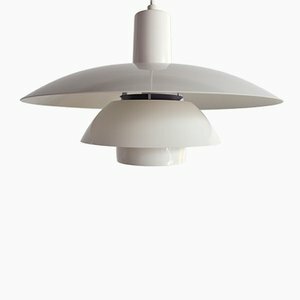 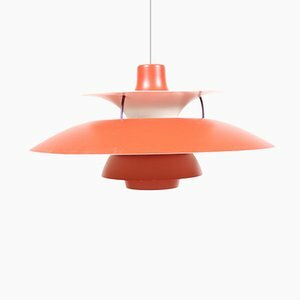 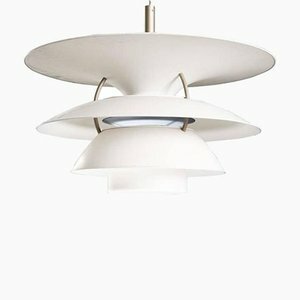 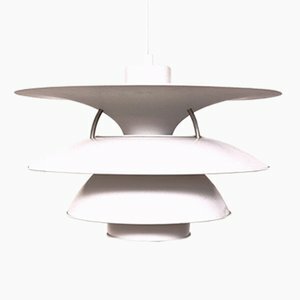 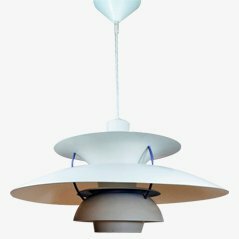 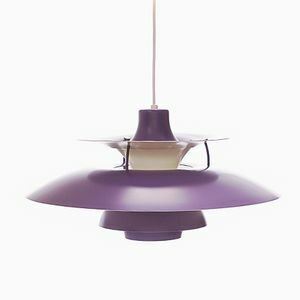 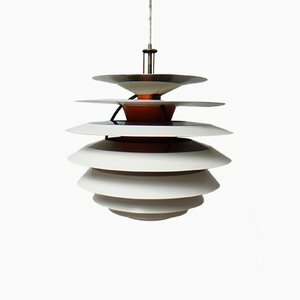 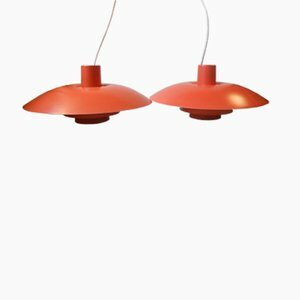 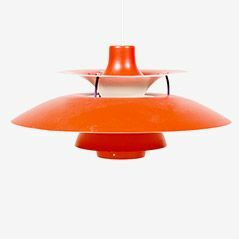 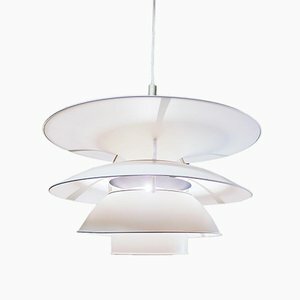 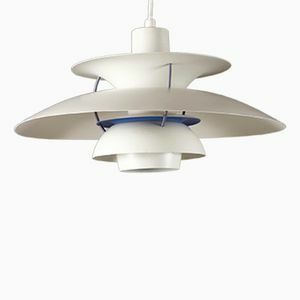 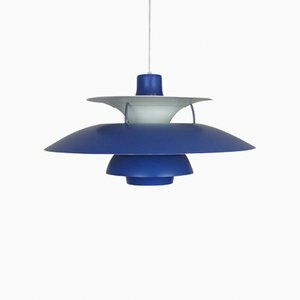 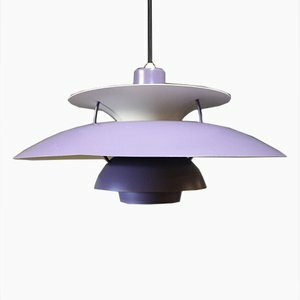 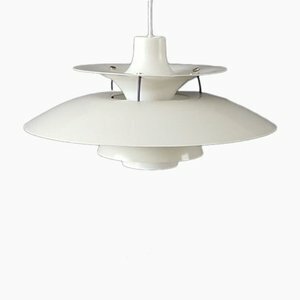 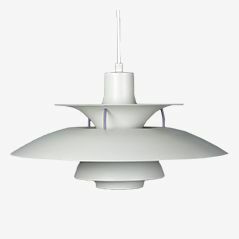 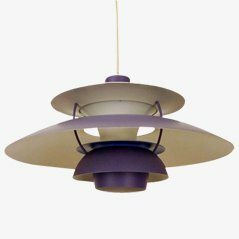 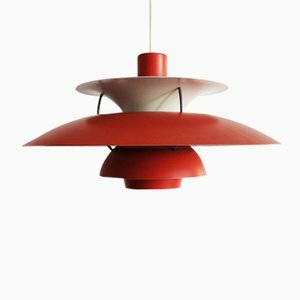 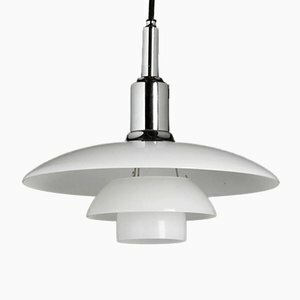 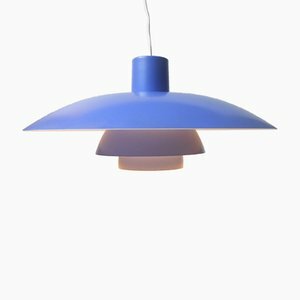 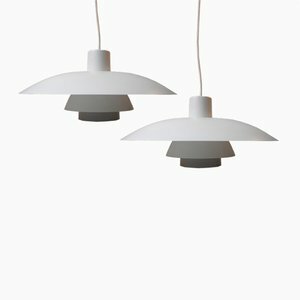 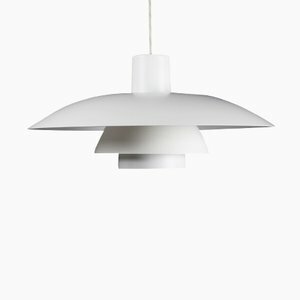 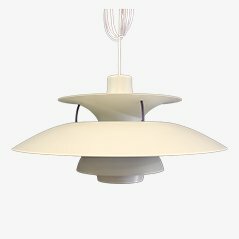 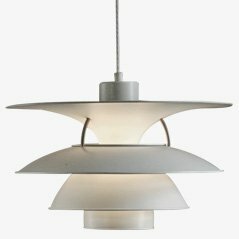 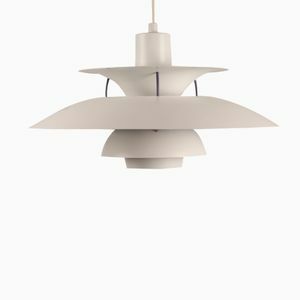 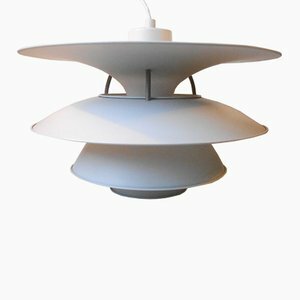 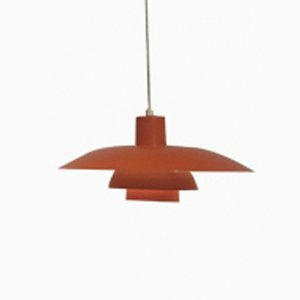 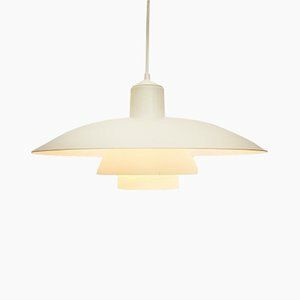 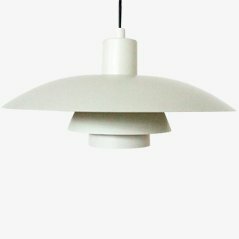 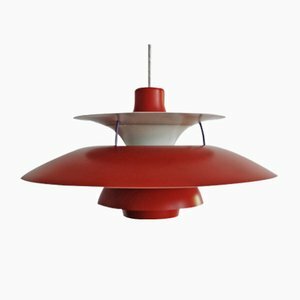 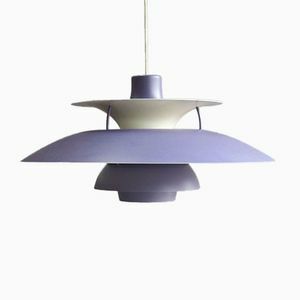 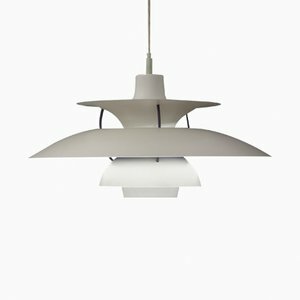 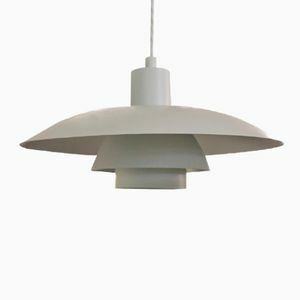 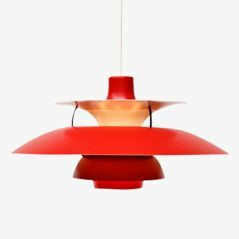 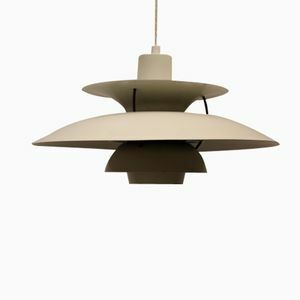 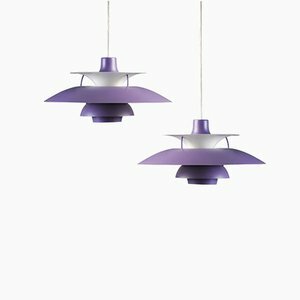 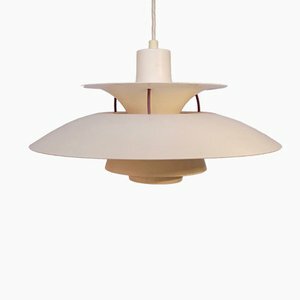 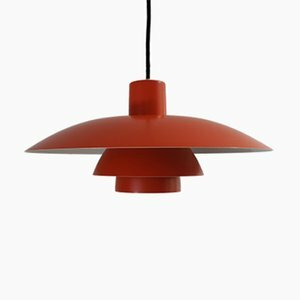 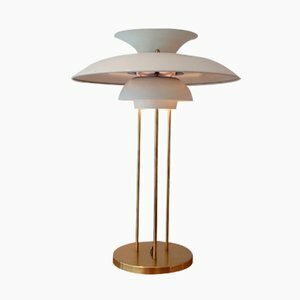 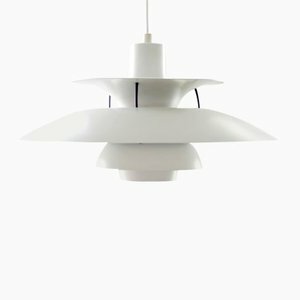 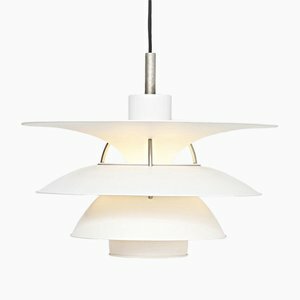 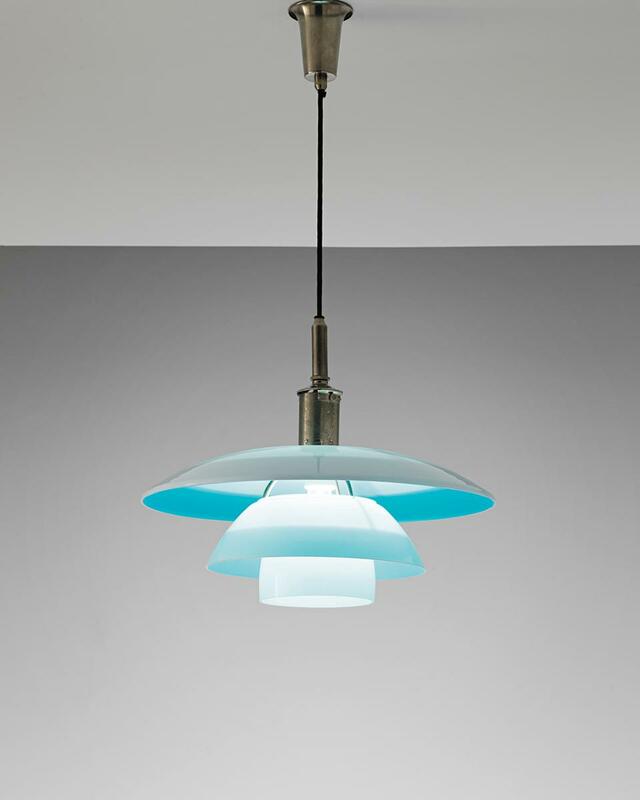 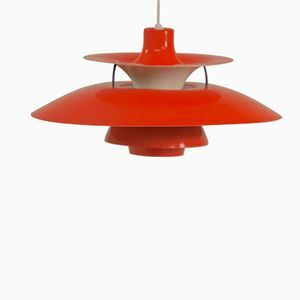 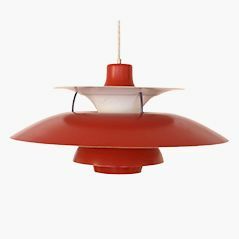 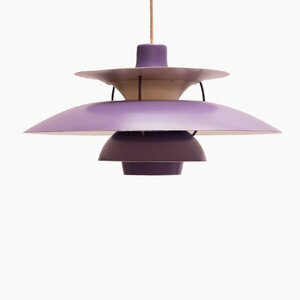 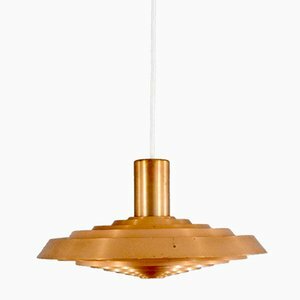 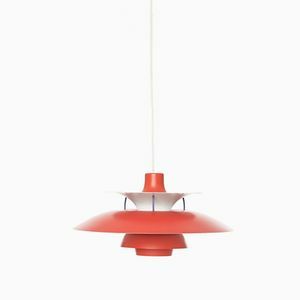 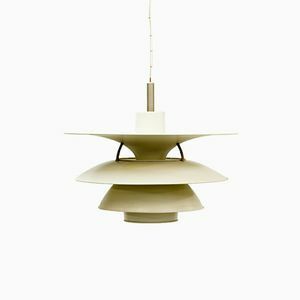 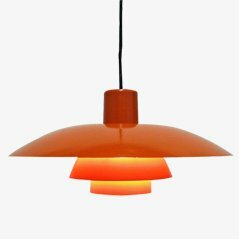 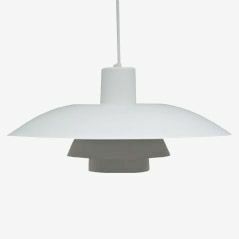 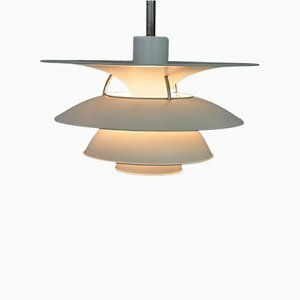 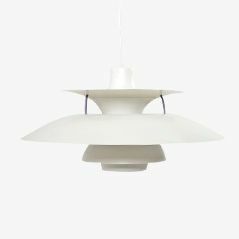 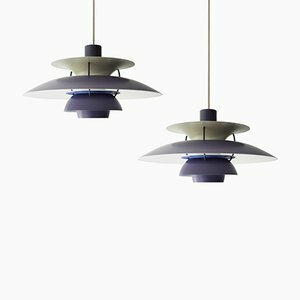 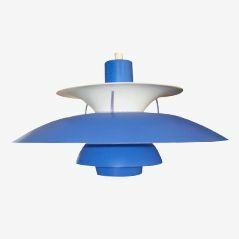 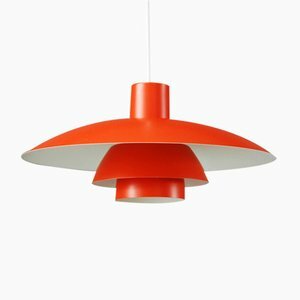 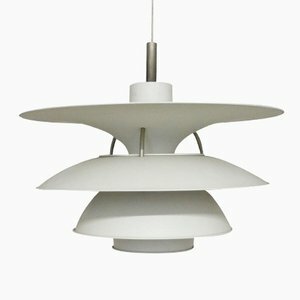 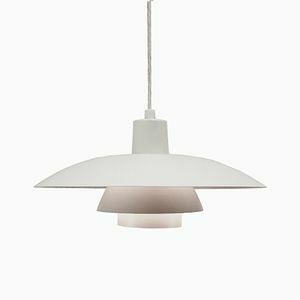 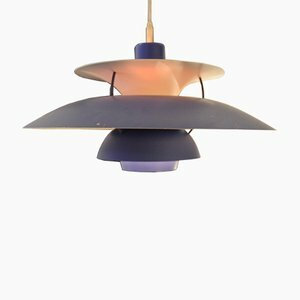 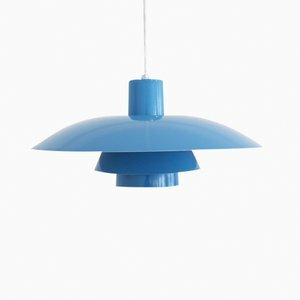 We lost Henningsen in 1967, but his designs remain the most sought-after lighting of the 20th century. 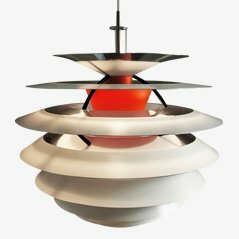 His scientific approach to developing pleasant, salubrious lighting effects never diminished his reputation for artistry. 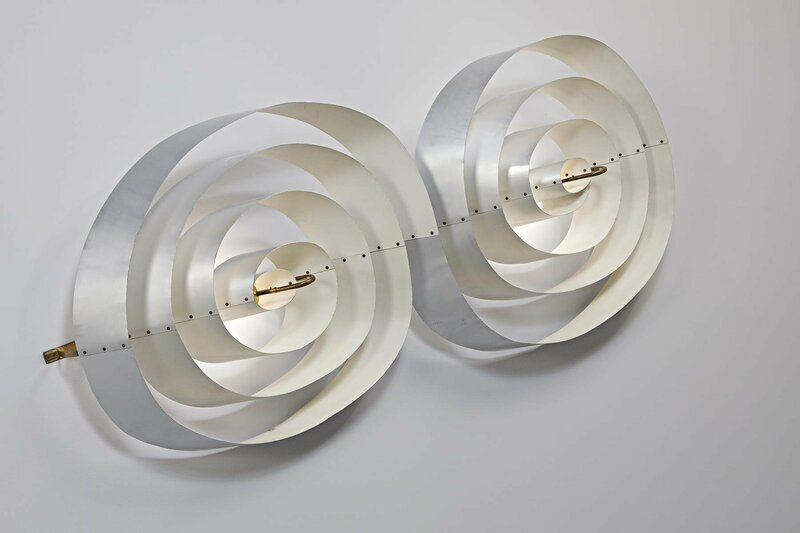 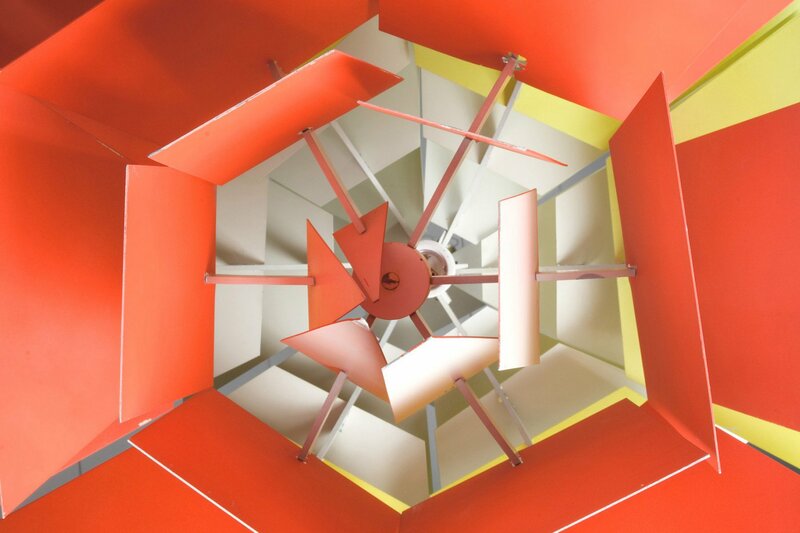 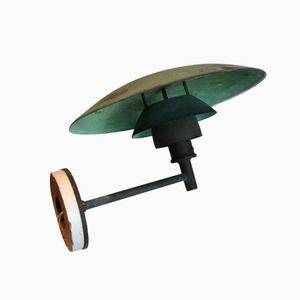 Today, his early Artichokes regularly fetch tens of thousands of dollars at auction, while his more obscure works, like the artichoke-esque House of the Future fixtures, the Spiral Wall Lights (ca. 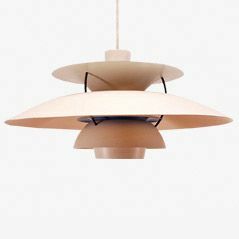 1955) for the Scala Concert Hall in Århus, and the Spiral Ceiling Light (1942) for the University of Århus, sell for hundreds of thousands. 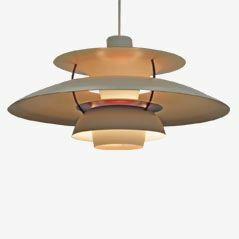 It just goes to show; lighting has such a major impact on the way we experience our environments, and Henningsen’s understood this. 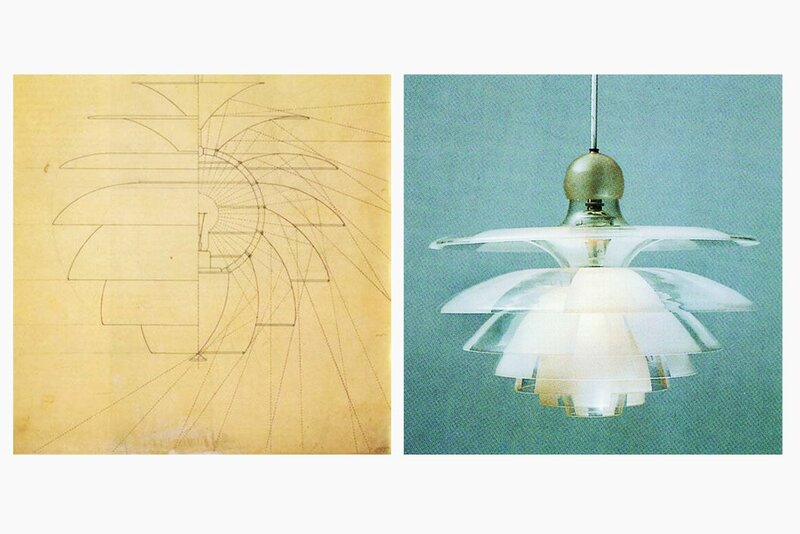 His expertise for harnessing light to make us feel like our best selves is a gift that never goes out of style.